Just like the President says, change is still coming… to this here blog. I’m just waiting on some friends (we’ll call them Congress) to get a few things done. In the meantime, try this quick and easy to make dinner that’s guaranteed to warm you up this winter. Preheat the broiler (if you have an option choose high). Add the water to the skillet. When it starts to simmer, stir in the kale and cook until it wilts slightly, about 2 minutes. Add the gnocchi, stirring to coat. Cover and cook until the gnocchi are just tender, about 5 minutes. Uncover and stir in the 1/2 cup parmesan and the remaining 1 TBSP butter. Sprinkle with the remaining 1/2 cup parmesan; transfer to the broiler and cook until golden and bubbly, about 3 minutes. And since Miss Fancy Boots and I are sticking to our eating healthy and exercising resolutions, but seriously we are doing a fantastic job– here are the nutrition facts. 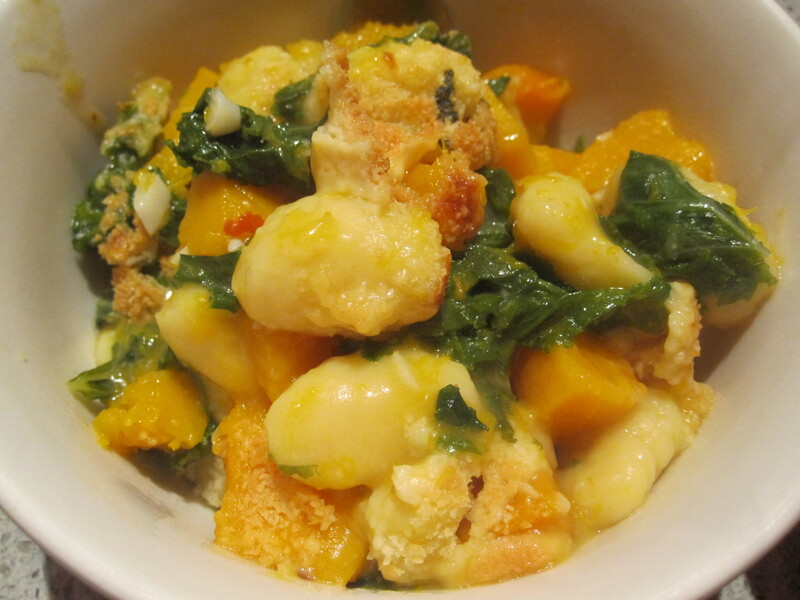 This entry was posted in Wine & Dine and tagged butternut squash, easy, gnocchi, kale, quick, sage, warm, winter. Bookmark the permalink.